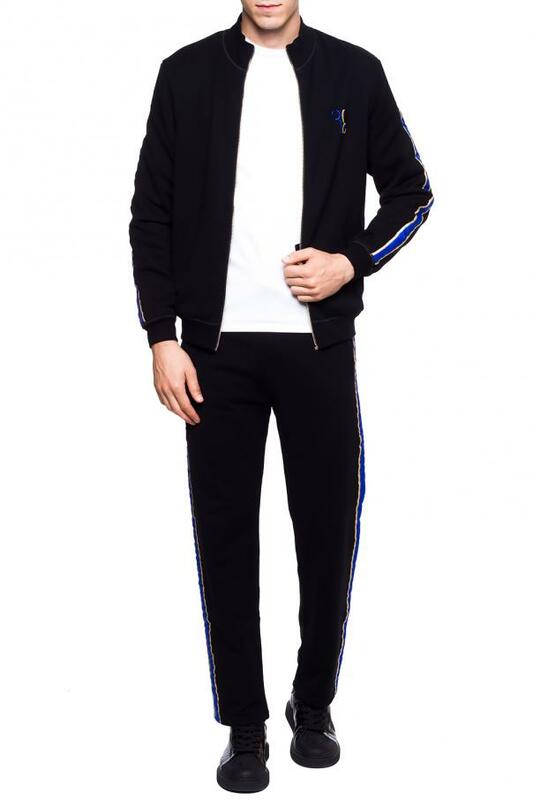 Black cotton sweatpants & sweatshirt kit from Billionaire. 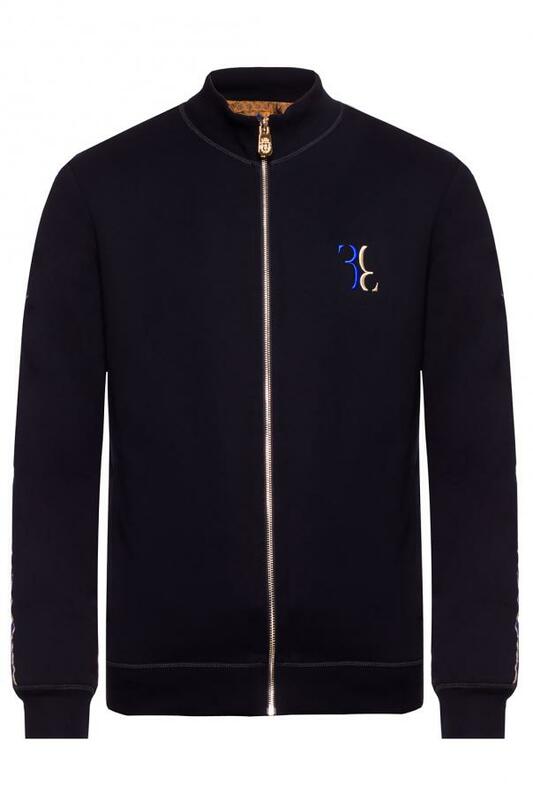 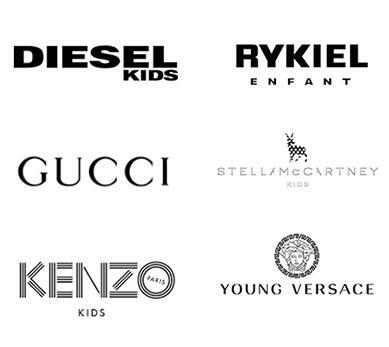 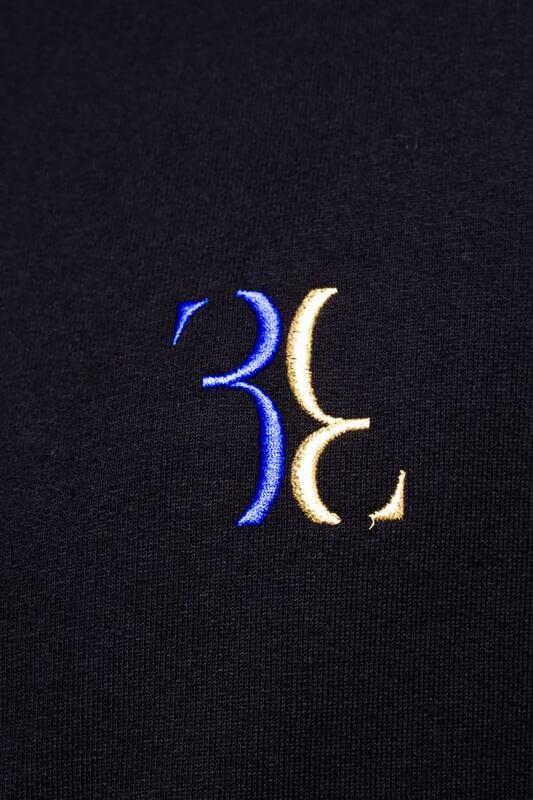 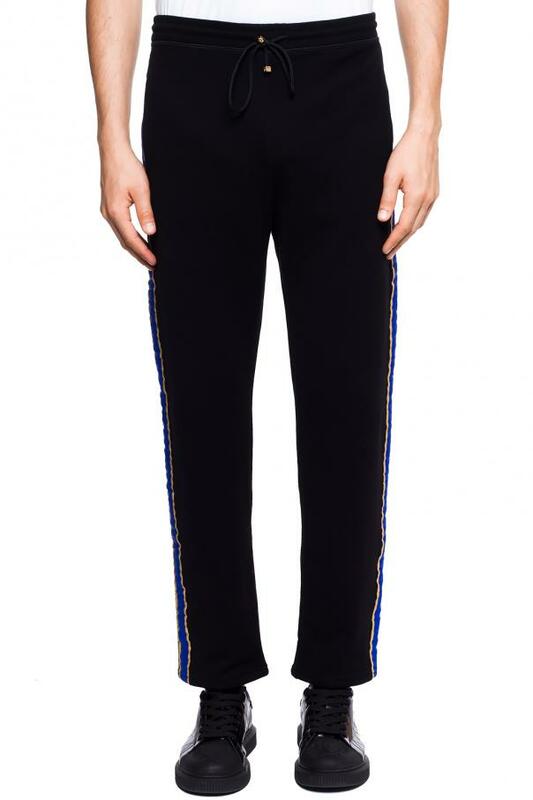 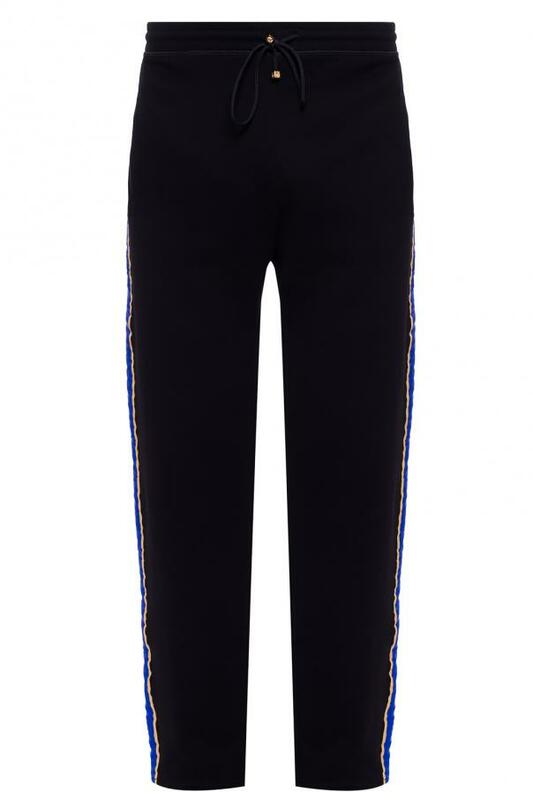 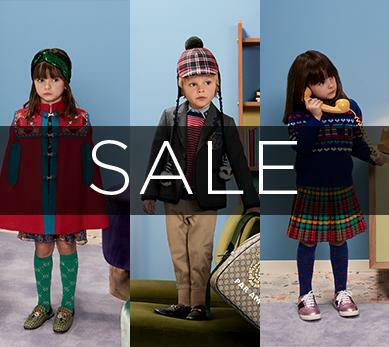 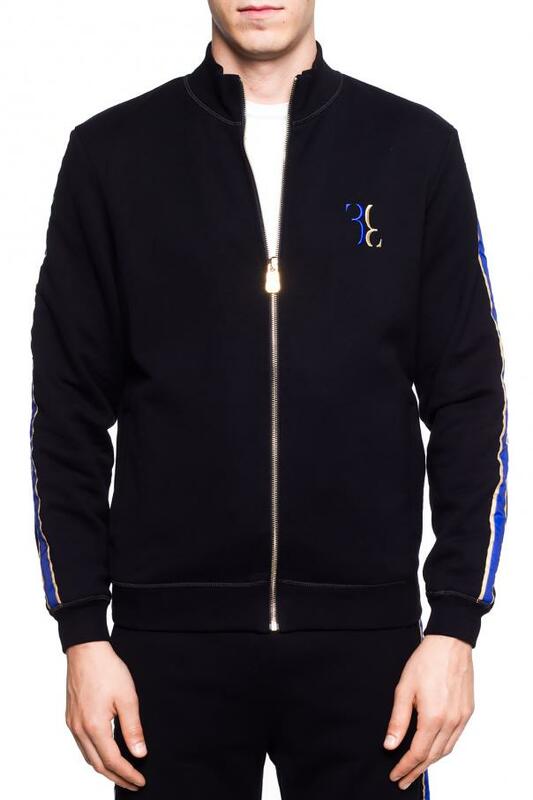 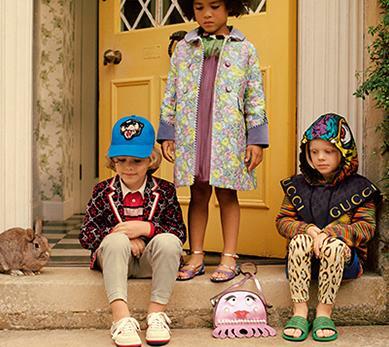 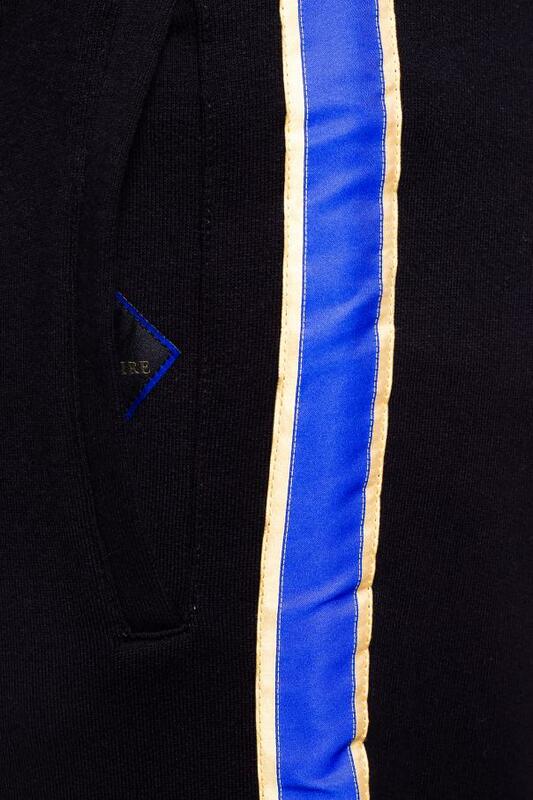 Items are enriched by embroidered logo and sewn blue and gold-tone stripes. 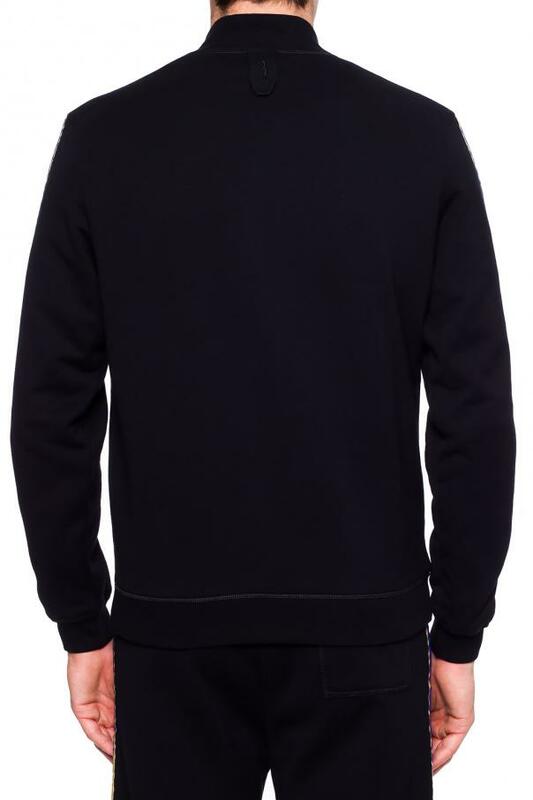 Sweatshirt features raised collar, zip fastening and 2 slip pockets at front. 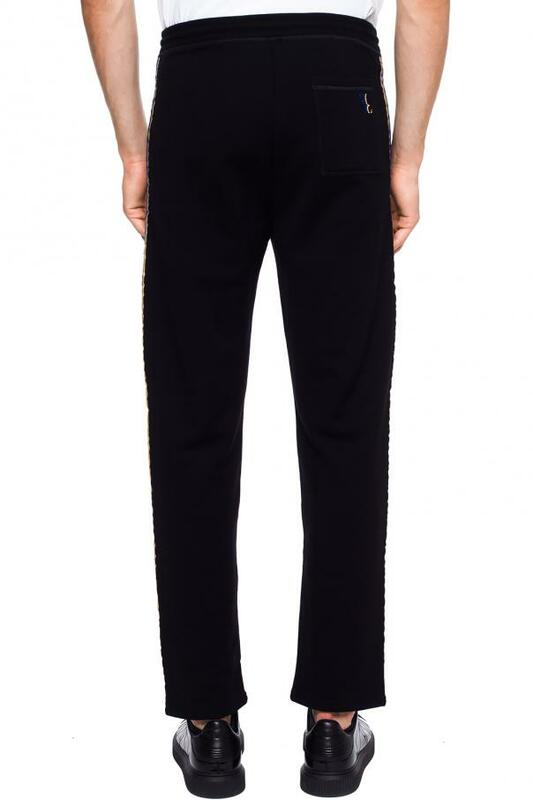 Sweatpants have drawstring waist, 2 inset front pockets, 2 rear welt pockets and wide legs, which are tapered at the ankles.